Today was a dumpster fire. A real tons of burning trash, everything is terrible, no good very bad day. But before we get to the dumpster fire day, there was a really good day. And they are totally different, but totally related. On Sunday night, I set my intention for the next day. I had a day off from work, the kids were home from daycare, and I was going to be super mom. At least for a day. In setting my intention I was very specific too. I did some visualization, I wrote it down, I channeled all of the self-helpery I have been leaning into as of late. In my vision for the day I was going to be the most patient, the most fun, the merriest of Poppins type mom. We were going to have a really good day. And you know what? I was. And we did. 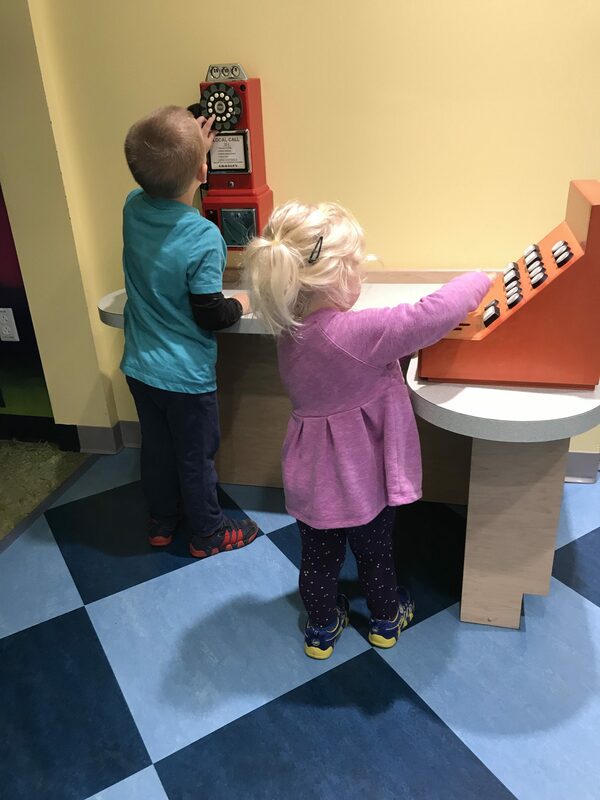 Jack, Norah, and I hit a children’s museum and splashed around in water tables, played with bubbles, explored with color lights, and made music. Then I took the longer way home, because they asked if we could turn right, and there was no reason why not. Before heading home we stopped at their favorite store and lingered in the aisles playing with the toy cars and Halloween masks until the kids were ready to go. There was so rushing, no arguing, and no slowly counting to 3. Later we baked cookies and both Jack and Norah got a case of the sugar high giggles. Then they played “Mommy, you lie down. We’re the doctors and you need to rest” which was a very fun game. 5 stars, would play again. We read books about spaceships and teddy bears and how awesome Moms are. We snuggled and smiled and the only time voices were raised was when we were laughing. So how do we FaceTime on this thing? 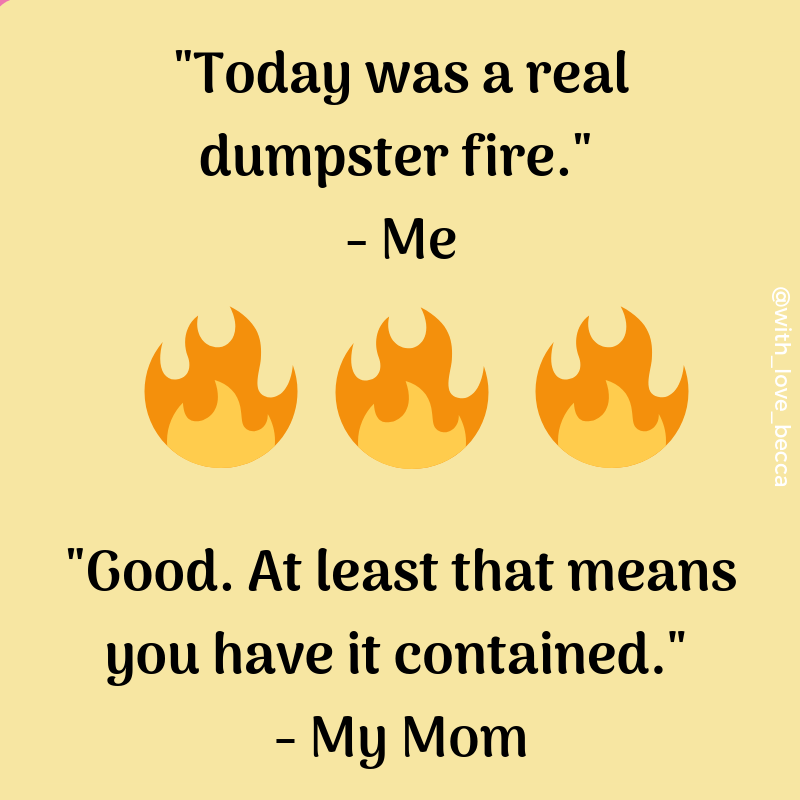 The next day was the dumpster fire. I really enjoyed the outcome of setting my intention for Monday, so I attempted to set my intention for Tuesday too. I looked ahead at my calendar, planned out the day, and mentally committed to being the best version of myself. I was ready for my self-help gold star pin. But from the moment I stepped into work things started to go down hill at a blazing speed. Technology issues dominated my day as I raced between meetings, typed frantic emails, and ate a piece of cold cheese pizza while sprinting up the stairs. There wasn’t even time to walk like a normal person. I was in full run mode trying to simultaneously solve problems and not lose my ever loving mind. This was not my set intention. Or my visualization. And affirmations of “you are capable, strong, and smart” were NOT helping. So what did actually help? My mom. Because moms fix things. I should know that by now. Excuse me, what? Oh, yeah… I mean, I guess that’s true. 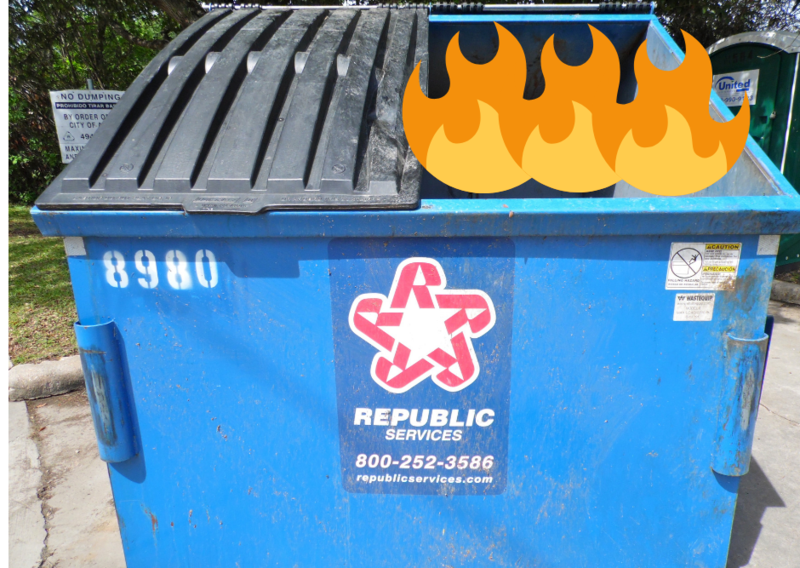 As much as a dumpster of flames smells terrible and is literal garbage, it is contained within that bin. Close the lid and that fire is going to go out eventually. It’s science. That actually was how my day had played out too. Sure the day was full of problems, and I was SUPER annoyed by all of those problems, but they were getting fixed. Slowly but surely, my team and I were fixing the problems and moving on. We had it contained. My pity party of one shut down pretty quickly after that. Lights on, punch bunch emptied, you don’t have to go home but you can’t stay here. Today felt pretty awful, but in the grand scheme of all things truly awful, it really wasn’t. Lately every news alert is like a friendly reminder that everything is on fire around the world, and it’s far from being contained. In contrast, my day was containable. In a few minutes I was going to be picking up my kids from daycare, and they had not caused any of my work problems. It was not their problem that today had been a dumpster fire. So I resubscribed to self-helpery and set my intention for the evening. I was going to compartmentalize the fires and be present for my family. I was going to be patient, and fun, and the merriest of Poppins again. I didn’t reach Monday levels of Poppins, but it was pretty darn good. 4 stars, would get hired by my children again. So I’m going to hold on to both days with a firm grip. They proved to me the power of visualization of your goals and making a choice to succeed. They also proved to me that sometimes the best intentions and preparation do not mean squat. Because that’s life. You control what you can control, and contain what you can contain, and when all else fails, call mom. P.S. 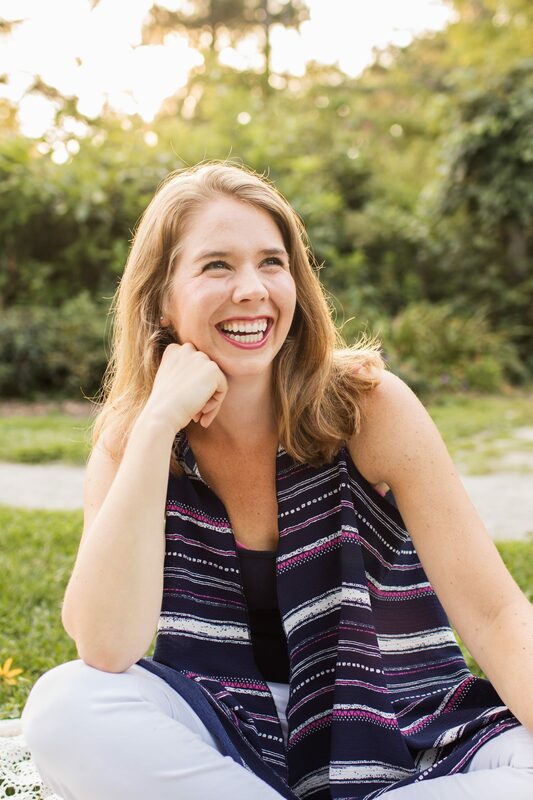 Curious about the self-help stuff? Check out the five personal development books I read recently and join the movement. Or create your own personal movement with what sticks. That’s my plan. She sounds like a pretty practical lady! I like that…and of course I’ve heard of dumpster fire days but never thought of this perspective. Here’s to hoping for a merriest of Poppins mom type of day today!